The presidency, the madman, the debates and more! An atheist President? - Coming up in the world. Is James Holmes an agnostic? - Does it matter? 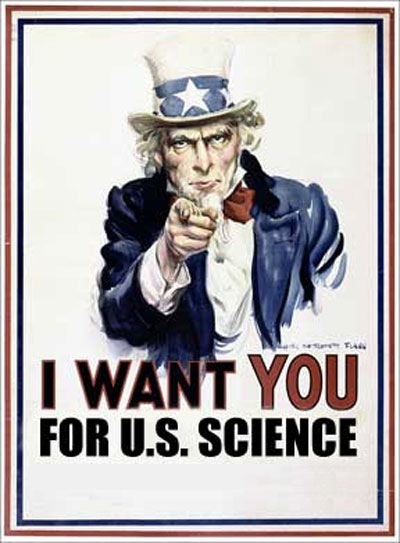 Science Debate Dot Org — With presidential elections coming up, wouldn’t it be nice if science were a part of the debate? There are four presidential debates scheduled, starting in early October. Domestic or foreign policy or both will be debated. But those are main topics of discussion. 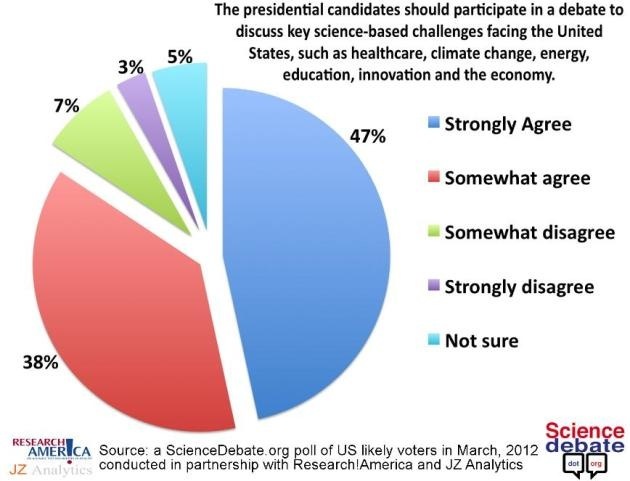 The actual questions are up to the moderator in most of the debates, and the idea of Science Debate Dot Org (“An Independent Citizens’ Initiative Asking Candidates For Office To Discuss The Top Science Questions Facing America”) is to put some pressure on the moderators to make at least some of those questions about science, or for the candidates to possibly have a separate debate on science policy. They are pushing for the same from kind of debates for congressional candidates. Given the many urgent scientific and technological challenges facing America and the rest of the world, the increasing need for accurate scientific information in political decision making, and the vital role scientific innovation plays in spurring economic growth and competitiveness, we call for public debates in which the U.S. presidential and congressional candidates share their views on the issues of The Environment, Health and Medicine, and Science and Technology Policy. At the bottom of The Call page is a link to another page where you can add your name to the list of people who have already signed up and to tell them why you think science policy debates are important, and to offer any suggestions you might have, such as good questions to ask the candidates. There is also a list of issues to choose from that you consider the most important. You can find the top presidential questions here. Science Debate is a 501(c)(3) organization co-founded and run by volunteer citizens from a variety of walks of life who share the common vision of Thomas Jefferson that “Whenever the people are well-informed, they can be trusted with their own government.” In an age when science influences every aspect of life and lies at the heart of many of our thorniest policy challenges, we believe that candidates for office should be debating and discussing these issues, just like they debate and discuss economics, foreign policy, and even faith. Science Debate is dedicated to elevating science and engineering questions in our national civic dialogue. You will find a pretty impressive list of people under the above description. Last, but not least, there’s an up-to-date list of links to News & Hot Topics pertaining to politics as it relates to science. Please visit Science Debate Dot Org and make your voice heard. Wednesday: Alas. It has fallen on me, Kil, to host chat. Well, at least until Dr. Mabuse comes back from holiday. And I did get the first week off when Dave hosted because I was at TAM. The problem with me hosting chat is I can’t log it (we really do need a chat room that isn’t so fussy) and my memory is poor about such things as Terry’s latest Wall Street loses, where Cune is at the moment (Chicago) and how many websites Thor actually has. ’Cause what I really want to see is the big-guns of skepticism having a bathroom competition to see who can write their name in bigger letters across the wall of a Vegas restroom. Dave said that. Not me. But I laughed! That quote comes from the missing SFN Skeptic Summary week and unfortunately I can’t (or won’t) provide you with any context. Anyhow, all of the regulars dropped in, and then some. We had two pretty good weeks of Wednesday-night chats. Oh. And we are considering doing a live face-to-face chat at Google+ if we can get it together enough to do it. Let’s see what happens! The Hockey Stick and the Climate Wars: Dispatches from the Front Lines, by Michael E. Mann. “The ongoing assault on climate science in the United States has never been more aggressive, more blatant, or more widely publicized than in the case of the Hockey Stick graph — a clear and compelling visual presentation of scientific data, put together by Michael E. Mann and his colleagues, demonstrating that global temperatures have risen in conjunction with the increase in industrialization and the use of fossil fuels. Here was an easy-to-understand graph that, in a glance, posed a threat to major corporate energy interests and those who do their political bidding. The stakes were simply too high to ignore the Hockey Stick — and so began a relentless attack on a body of science and on the investigators whose work formed its scientific basis. Is James Holmes an agnostic? There were 7,398 daily visitors this week.